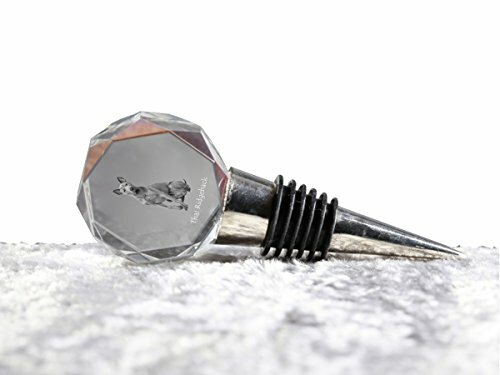 Crystal wine stopper with the image of a dog. Collection of stoppers for wine with the image of purebred dogs. The original collection of 100 caps, which are found only here. At the same time, it is an exceptional gift for wine and dog lovers. Thanks to the modern style and exceptional engraving, the wine will shine and sparkle on your table. Caps for wine: a unique gift made in a modern style, high quality crystal and engraving, dimensions: Diameter - 4 cm, Thickness - 2 cm. Material: engraved crystal, metal. Check our other auctions with these wine stopper! Over 100 dog breeds of wine stopper in our stock!